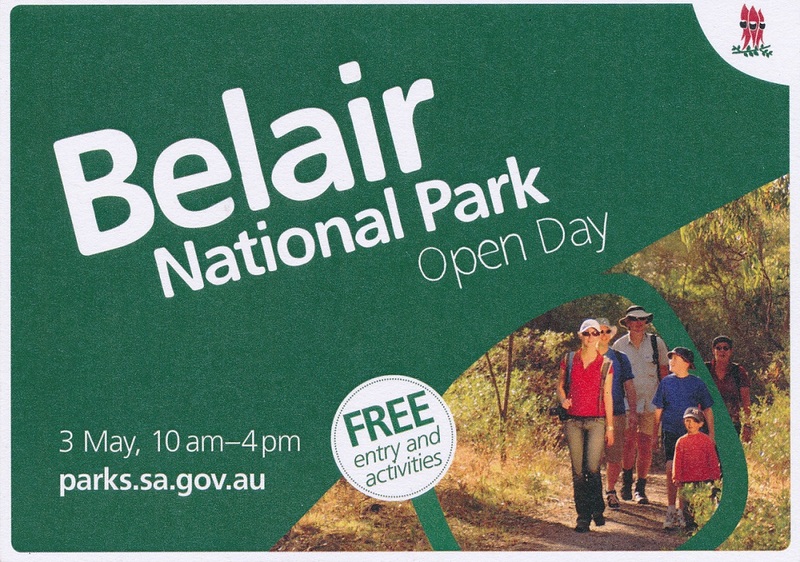 The SA brochure relating to this park is entitled Belair National Park: From Government Farm to National Park. The Park conserves both natural and built environments. It began life in 1840 when Governor Gawler established a farm for the purposes of grazing Government owned stock, for example, Police horses. In 1859 a cottage was built for the Governor, Sir Richard MacDonnell, and is now preserved as ‘Old Government House’. This building is open to the public on Sundays and public holidays, and as the brochure states, ‘provides an insight into the lifestyle of South Australia’s former gentry’. 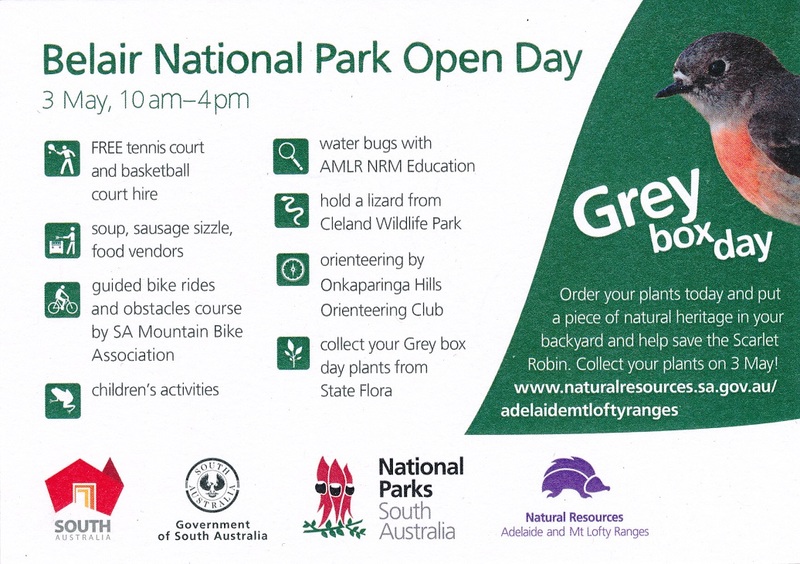 ‘In 1981, the South Australian National Parks and Wildlife Service was born, with the dedication of Belair National Park’. A trap for a young or not so young player! Today I went back to Belair National Park to try and reach the magic number of 44 contacts, so as to qualify the Park for the WWFF award. Belair National Park is a gated park and the gates are opened at 0830 and close at 1700 hours local time, that is, if you want to drive your car into the park. I was at the Park at 0700 hours local and walked into one of our usual operating spots about 300 metres from the boundary. There is a pedestrian gate at this point, near Waverley Lodge. This house is occupied by a ranger I know. I went quietly, not because what I was doing was wrong, but I simply did not want to wake up the household! It took me two trips to carry all of my gear, including a table, a chair and my FT897, two batteries, an antenna, log, clock and rain-coat to the activation spot. I anticipated a long activation period and I didn’t want to sit on the ground! Here is the link to that activation https://vk5bje.com/2014/06/01/mount-lofty-vk5-se-005-cleland-conservation-park/ The weather forecast predicted a shower and it was raining very lightly while I was setting up. I turned on the radio only to be greeted by noise over strength nine. This noise was a loud pulsing racket! The audio DSP settings on the FT897 were useless! To operate in these conditions would be impossible. Why was there noise? Well there is a major transmission line nearby. But I and others have operated here before without any difficulties. My theory is as follows: in the past this spot has been used for winter activations and the insulators are probably washed clean. While Adelaide has had some rain recently it appears not enough to dampen down the noise! I was hoping to work some DX as I was set up ready to go at 2100 hours UTC! So I packed everything away, once again making two trips, and trying not to make too much noise. I then drove around to the main gates and travelled to Long Gully where I activated the Park last Australia Day. Here is the link to that activation: https://vk5bje.com/2014/01/26/australia-day-january-26th-2014-belair-national-park/ The light rain soon stopped and I succeeded in making 23 contacts. I could not spot myself as there was not enough signal on my phone at this point. Here is my log and all contacts were on 40 metres and before UTC rollover. 2153 VK3CTM/P3 57 43, Tony 2201 AX3FDAP/P3 57 58, Dennis 2213 AX3ARR 58 59, Andrew 2222 VK5HCF 56 55, Col and Tom at Piccaninnie Ponds CP 2231 VK3PF/P7 55 42, Peter at Narawntapu NP, VKFF-005 2238 VK3MAY 57 51, David 2254 AX3TKK 57 44, Peter 2257 AX3DAC, Fred 2300 VK3MRG/P3 51 51, Marshall at Lake Eildon NP, VKFF-625 2302 VK5FANA 51 51, Adrian 2305 VK3NCR/P2 51 58, Craig 2310 VK5GJ 51 58, Greg 2313 VK5FLEX 59 49, Peter 2315 AX5PAS/P5 59 58, Paul at VK5/SE-016 2319 VK3FQSO 59 54, Amanda 2323 VK5AA 59 57, Tom with Col at Piccaninnie Ponds CP 2330 VK7TW/P7 51 41, Justin at Mount Wellington, VK7/SC-001 2332, VK7FREU/P7 51 41, Reuben at Mount Wellington, VK7/SC-001 2342 VK1DI/P1, Ian at Mount Majura, VK1/SC-034, 2347, VK5LY 59 54, Larry, 2348 VK5NIG 59 55. Nigel, 2350 VK5KLV 59 58, Les, 2353 VK3BNJ 59 33, Stan. Thanks to all who gave me a call. Today’s efforts take my total of 55 contacts for this Park. It was an interesting day for propagation. I thought for a while this might be my first VK5 activation without any VK5 contacts! It was only later in the morning that any near city stations were readable. For example, I knew that VK5HCF was active at Piccaninnie Ponds Conservation Park, but it was half an hour into the activation before we successfully made contact. At the same time VK3 stations were loud and clear. VK3PF/P7 at Narawntapu National Park, VKFF-005, was worked at 22:31z and it was 23:15z before I had a contact with VK5PAS/P5 at VK5/SE – 016. While all this was happening I heard snippets of RTTY and two US SSB stations. The US voice stations were 5 and 8 to 9, but they were quickly gone! Other operators also made similar comments about the propagation. After most, but not all, of the new-comers had successfully activated Mount Lofty Summit within Cleland Conservation Park, we moved to Belair National Park. I guided the little group of hopefuls to one of my favourite spots in the park where there is plenty of room for a squid pole and wire antennas and not too many people going by. This was my third activation of Belair National Park. I had previously activated the Park on the 26th January 2014 and on 1st August 2013 making a total of 33 contacts. There was some interest in alternative power technology so I set up my FT897 and a LiFePO4 battery to show the participants the power and weight advantages of Lithium chemistry batteries compared with Lead Acid batteries. I had just one contact, with VI50CONV, operator John, VK5DJ, the special event station for the South East Radio Group for their forthcoming convention to be held during the June long weekend. So I was pretty pleased with that but then it was time to encourage the newcomers. We also compared the recovered audio from the FT897 with Paul’s FT450. I thought the two radios sounded good with audio that was easily copied in an outside environment, but to my ears the FT450 had the edge. Paul’s view was he thought that the FT897 was better. Not a scientific experiment but an interesting subjective experience. After VK5PAS, Paul, VK5GW, Graham, VK4FR/P5, Chris and I had lunch (high quality and low calories!) then Chris and I adjourned to my QTH to explore and try out our new ten amp chargers on our LiFePO4 larger capacity batteries. I decided I would join the activators today and identify as AX5BJE. This is the first time I have used the AX prefix. 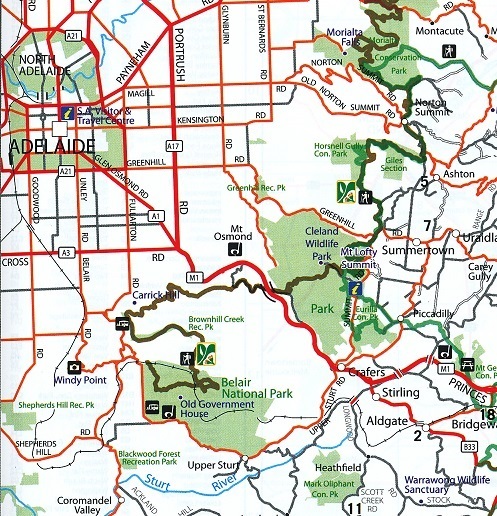 I chose Belair National Park, near Adelaide. This was my first activation of this park for this year. I first activated Belair NP on 1 August 2013: a winter activation (see earlier blog entry for more details of the park). On that occasion I had five contacts: but I did activate The Knoll CP later in the day where I had seven contacts. I began the day early and was at the park at 08:05 local time, just five minutes after the gate was opened. I drove into the Park rather than walk as previously was the case. I travelled around to Long Gully where I found a small picnic area with no reservation sign in place. It became mine and a park table was used to support the squid pole. I have a GPS reading of the coordinates: S35 01 082 and E 138 39 242. My first contact, on the 40 m band was with Tom, VK5FTRG, at Millicent, 5 and 9 both ways. I thought that was a good omen! I had contacts with VK7KO, Gerry at Devonport; VK5TD, John; VK5EE, Tom; VK5TD, John again; VK5FMID, Brian; VK5LY, Larry; VK5HCF, Col, QRP; VK3ZPF, Peter; VK3FQSO, Amanda, from Wedderburn; AX5PAS, Paul; AX5AV, Tim; VK3ZDY/m2; VK5WG, Nev; AX5ZAR, Arno, QRP at a holiday house, Yorketown, on Yorke Peninsular; VK5NX, John, conducting the WIA broadcast; AX5ZBD, Greg; VK5QI, Mark; VK3RV, Peter, QRP; AX5HS/m Ivan; VK5MJ, Mal; VK2FGJW/p1, Greg on SOTA summit, Mount Ginini, VK1 AC 008; VK2IY, Angus ; AX3SSB, Ash from Horsham AX3BQ/p3; Andrew on SOTA summit, Mount Arapilies, VK3 VW 022; and finally, VK2PCW/p, Michael. I then moved to 20 metres as promised. I was hoping to get a contact or two for those chasing the VK5 Parks, especially from VK6. I had a listen around the band: there were few workable signals. So I had a very enjoyable contact with VK6QL, Patricia, on 14.142. I last worked Pat from the Little Desert National Park in Victoria on the 8th September 2013. I thank all of those operators who gave me a call: 27 contacts and none missed! A great Australia Day!